After some years of working with various groups, including traders and the Coney Hall Village Residents’ Association, we can at last report that plans have been unveiled for some improvements to the area of Kingsway in front of the shops. The pavements are to be relaid and improved, and pay & display parking bays introduced on the western (‘Wickes’) side to ensure a better turnover of parking spaces. 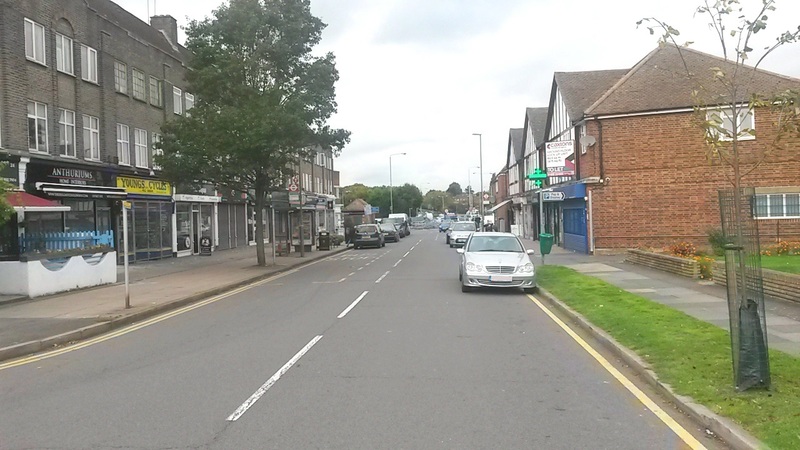 Work continues in partnership with the Residents’ Association on plans for a notice board and other possible improvements, and we will continue to seek ways to discourage HGVs from venturing too far into Kingsway and beyond where they have been known to get stuck while turning round. I hope they don’t alter the history of it. The building I was raised in was a greengrocers. My parents Eve and Fred Power. The building at 4 Kingsway many many years ago nefore my godfather then my parents had it, was an old Salvation Army hall. When I left the large building next door was a home care center. It used to be a dancehall in the 40s and 50s. As someone who uses the local shops we do NOT need pay and display bays, we need time restricted bays. Residents should be allowed to park freely not change the status to paid parking.